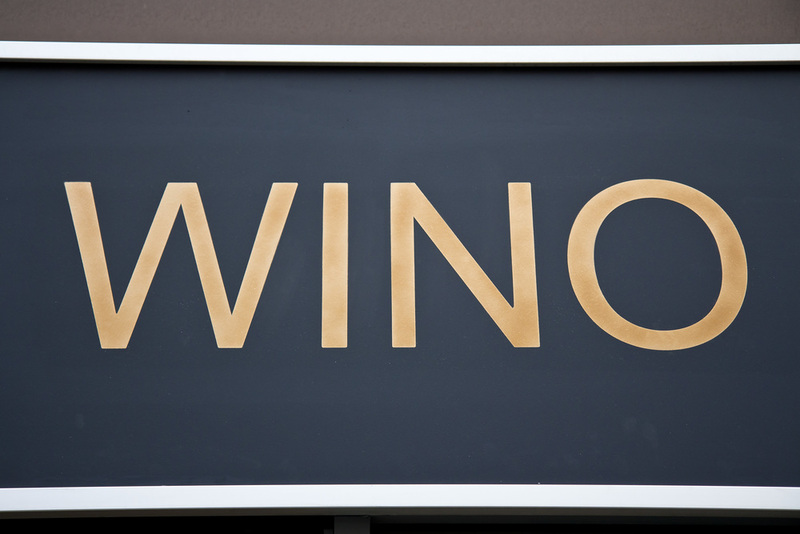 Located in the bustling Financial District of Leeds we introduce Wino a new concept of Wine Bar offering the perfect service & accompaniments to all your wine needs. We opened our doors in the Leeds Business District in the Summer of 2015 we launched the fabulous Wino! Leeds celebrated wine bar and merchants. We offer a wonderful and ever changing selection of exclusive wines for you to try all by the glass, bottle or even buy to take away we like to cover all options. The vision for Wino came from my own personal desire for a small intimate relaxed venue where I could enjoy wine selections by the glass that are not your usual bar offerings and enjoy picky style foods without having to buy a larger sharing boards which are often the case in some bars plus i wanted to be surrounded by the perfect playlist & friendly informed service ( I don't want much!) often bars of this nature are found in Europe where we have got a lot of our inspiration from. I wanted to recreate that vibe and ambience in Leeds so the vision for the bar was born. Having combined food and catering experience of over 30 years , my husband and I have worked in and around Leeds in many of the busiest venues including restaurants, coffee houses, hotels and bars so no doubt you will probably recognise the team from a previous food or drink experience - we have certainly been around a long time! Our service style is second to none and we will not compromise on this aspect of the business, having worked for many other organisations over the years we are finally proud to deliver you our own establishment where we can bring together our wealth of knowledge to provide you with the best possible customer experience. We have now been open for over 3 years and are well on our way to being the favourite spot in Leeds financial Business district and Leeds centre with our team of wino regular customers, we have established a firm client base and love to meet our new customers on a daily basis , Wino really is a great place to relax in with personal service every time! Wino is the perfect place to start your evening whether its drinks with friends or an intimate date or a relaxed drink on your own, Wino is the perfect little spot. To accompany your wine we do food boards with freshly sliced meats, cheeses and other deli delights. This service is also available for take away so why not order our boards for your office lunch , party or meeting, a great alternative lunch or pre dinner treat. You can even pick up a bottle of wine and food board for a spontaneous picnic as you can never quite tell what the Leeds weather will bring!- we can't wait for summers in our Local beautiful park in Leeds park square. 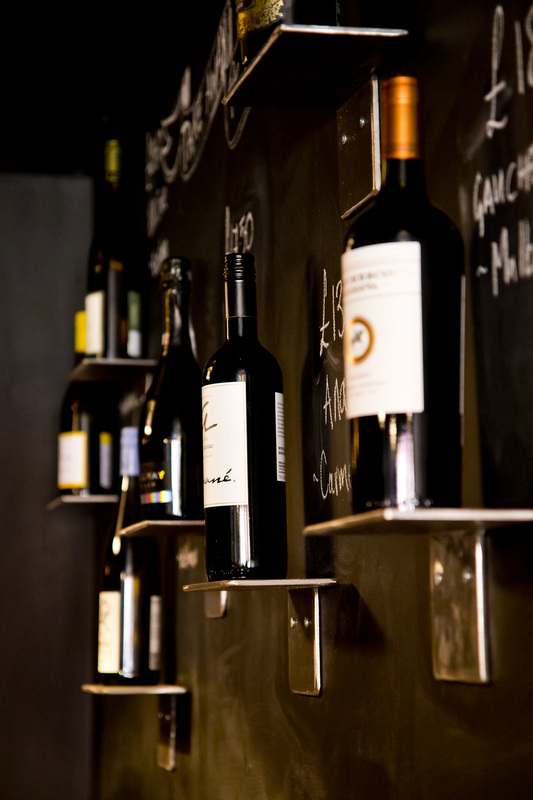 Our wines are carefully selected by our team along with our exclusive suppliers. We aim to provide you the best we can get and quite simply we would not have it unless we were happy to drink it ourselves. We offer great value alternative wines along with popular and more refined choices for you to discover and enjoy. We have a vision here at Wino and we want you the customer to be very much part of this and come along with us on our journey, if there is something you would love to try or recommend, tell us! we listen to our customers and will do what we can to hone our offerings with you our Winos! very much in mind. Wino is very much an an adult space so for this reason children are not permitted, sorry! Private event packages also available, please email us at wino@winoleeds.co.uk. Wino is perfect to hire for any event from birthday, networking, engagement and wedding and corporate, we are even able to extend our hours to suit your partying needs, please get in touch for any enquires we will do what we can to help make your event smooth as possible. We are dog friendly- must be well behaved, and under control at all times. Private Event Bookings Closures - please check dates on the events section. Other Rose options are available please ask at the bar. Spirits, Guest wines, Sherry, Soft drinks and Port and dessert wines available. A 4 cheese selection drizzled with white truffle honey and served with grapes, celery,apple, quince , peter's yard crackers and our toasted bread. A perfect mix of both. Pan fried almonds and chunks of parmesan. A Blue cheese version of our bikini served with melted blue cheese and marinated black olives on toasted brioche. We have recently hosted corporate events with Consilia Legal, Shulmans LLP, PD-Tax consultants, Lake Legal LLP , KPMG and DLA Piper LLP, Network marketing, Park Square Chambers, Campfire, Devonshires, Brown Butler, PR plus many more, get in touch now for your bespoke event. If you are interested in having Wino come along to your event be it fair, festival, fete or even a family gathering send us an email we will happily discuss your requirements. In advance of the General Data Protection Regulation, just to note Wino holds no information on any of our customers. The notice confirms the only data that is collected through our payment provider iZettle who holds email details linked to your specific payment method for receipts. Wino is the perfect venue for a variety of events whether it be a celebration or a works event we can cater for your every need. The bar can accommodate up to 50 people. You have the option of hiring out the full venue or alternatively the back area which can seat up to 20 people. We charge a minimum spend for either option depending on which day you would like to book the event. We can provide food and drink packages and even incorporate wine tastings into your event. Our evening events run up until 9pm but we are able to extend our licence with a few weeks notice if you would like to hire for longer. We tailor every event to your needs so don't hesitate to get in touch via phone or email or even pop in and we can have a chat. We have to advertise to the public that we are closed for events so we require a deposit to be made as soon as the booking is confirmed. If you are interested in booking one of our informal wine tastings from 2 up to 20 people please get in touch for our tailor made wine experience packages.